This entry was posted on May 2, 2017 by Nick. Although Mother’s Day is celebrated in the UK in the March, countries all over the world celebrate mums on different dates. International Mother’s Day is celebrated on the 14th of May in a variety of different countries, including Australia, New Zealand, South Africa, Canada and the USA. Many European countries, such as Germany, Italy, Greece and Belgium also celebrate on this day as well as some Asian nations like China, Hong Kong, Japan, Singapore and India. If you live in one of these countries and you’d like to send a gift to your mum or grandma in the UK, then look no further than Hamper.com! 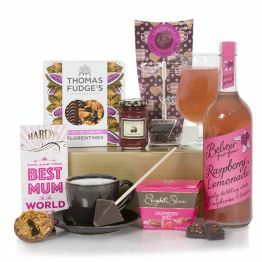 Discover our fantastic collection of Mother’s Day gift hampers that are available with free UK delivery. The Best Mum Luxury Hamper is filled with delicious treats that show her how much she is appreciated! From luxury sweet treats to a fragrant scented candle, she’ll love this gift that is carefully hand packed in a wicker hamper. 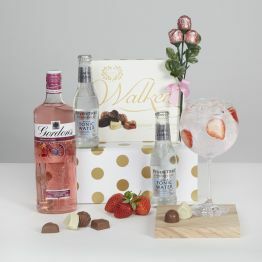 The specialists at Hamper.com choose only the finest goodies to go into our fantastic Mother’s Day hampers. 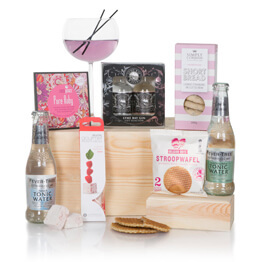 The Elegance gift hamper features a range of sweet and savoury treats that are accompanied by a gorgeous Sauvignon Blanc from Argentina. 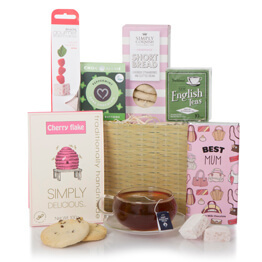 Perfect for a relaxing and soothing day, the Tea & Treats For Mum has everything she needs to unwind after a busy day. 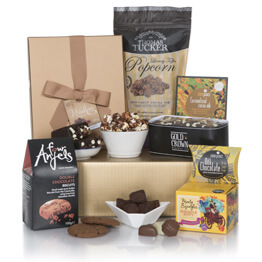 From moist cherry and almond fruitcake to a Hardys Best Mum chocolate bar, she’ll love this wonderful hamper. The Mother’s Day Champagne Hamper is the ultimate Mother’s Day gift, packed with a fantastic range of treats and goodies including a bottle of Autreau Roualet Brut NV Champagne! 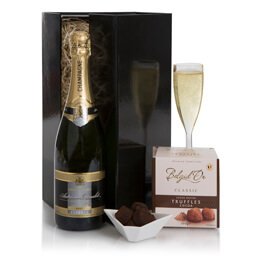 The Champagne is the perfect accompaniment to the chocolate nibbles within the hamper! 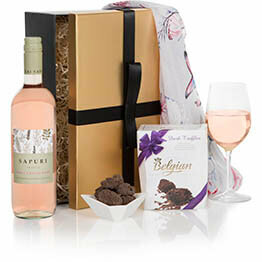 As with all of our Mother’s Day hampers, this gift is eligible for free UK delivery. As well as delivering gift hampers to mums in the UK, we have a fantastic international delivery service that brings hampers to people in countries all over the world. 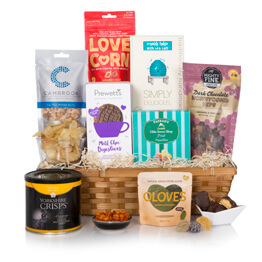 If you’re mum or grandma is in the USA, Canada, Australia or elsewhere, discover our fantastic range of gift hampers that are eligible for international delivery! If you have any questions about our collection of next day gift hampers, then please get in touch. Call us on 01235 833732 or contact us online and a member of our team will get back to you as soon as possible.